We are pleased to welcome Villas Panoramique and Clementine. 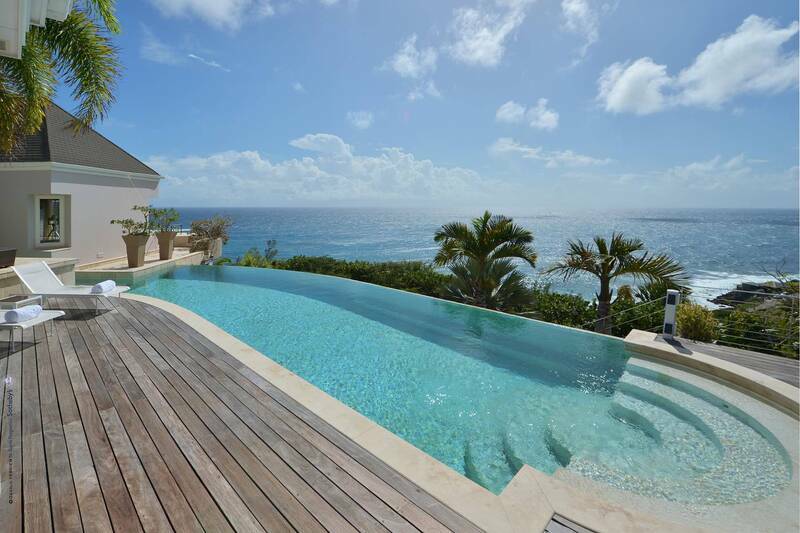 Villa Panoramique – Contemporary Villa Panoramique was named for its stunning 360-degree vista of Petit Cul de Sac. The main house includes a chic and comfortable air-conditioned living room, adjacent dining area and sleek kitchen, where a window frames a postcard-worthy view. The master bedroom (king bed) has an en suite bath and opens to a meandering multi-level deck. A separate bungalow houses two connecting guest bedrooms that share a bath; one has a French king bed, and the other, a double (perfect for families with younger children). There’s an extra-long heated lap pool between the pavilions; the outdoor living space includes a dining portico. Thanks to screens all ’round, guests can enjoy delightful breezes. The living room has U.S. satellite service, and the bedrooms all have Apple TV. Villa Clementine – Hillside in Vitet, this contemporary 3 bedroom villa boasts a panoramic vista of Lorient and St. Jean Bay. Guests enjoy the views while sunning poolside, relaxing in the outdoor living area and toasting those gorgeous fiery sunsets. The striking extra-long pool is heated. Indoors, an open floor plan includes a comfortably furnished living room (TVs are equipped with U.S. satellite service) and a sleek kitchen that opens to a dining terrace. Two bedrooms (French king beds) are privately situated on opposite sides of the living room; they open to the terrace and have water views. Their en suite baths are chic and spacious, with double sinks. A guest bath is conveniently located off the living area. The lower level encompasses a third bedroom, also en suite, and a fitness room. Vitet is close to many shops and restaurants and island beaches. Stay five nights and pay for only four in one of Le Toiny’s 14 luxurious Villa Suites. 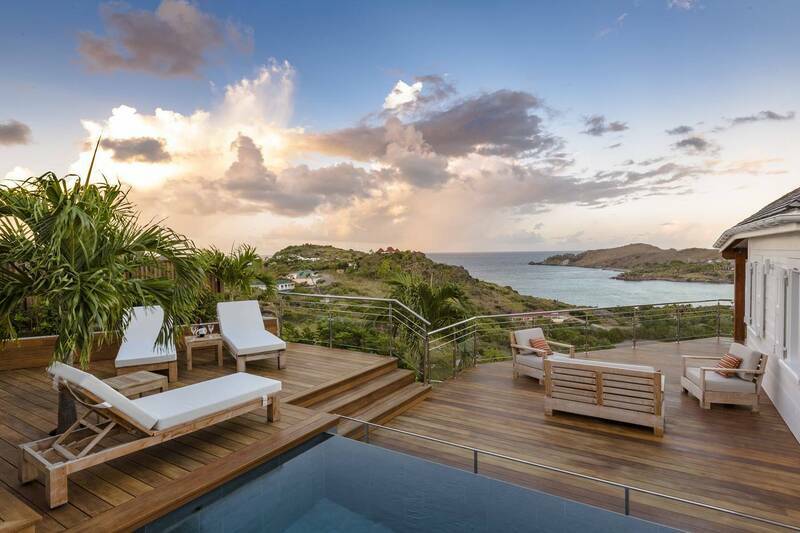 Experience privacy, exceptional service and a stunning view of the Caribbean Sea. Offer valid March 1-31, 2017. 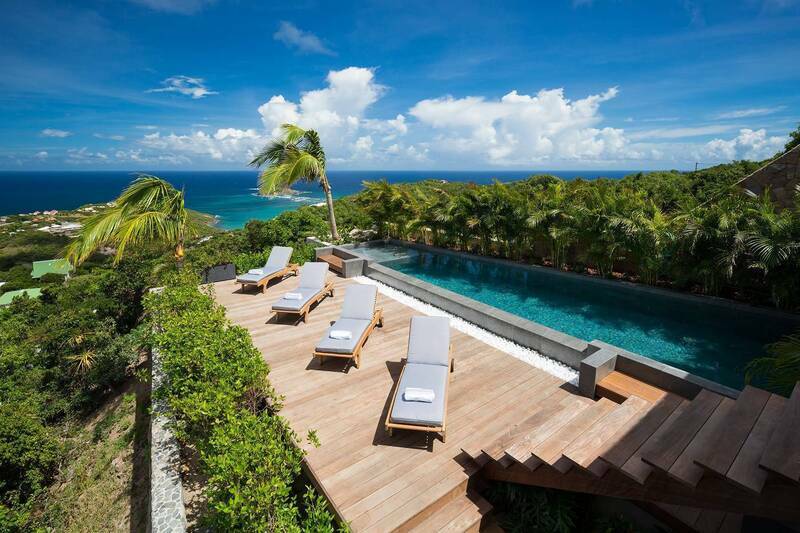 St. Barth Properties is now affiliated with Treasure of Wellness, a unique St. Barth-based company that has designed a portfolio of health and wellness programs. Founders Frédérique Doucet, a multifaceted personal trainer, and Fabrice Kuhn, a sports medicine physician, have put together quite a team (massage therapists, estheticians, yoga instructors, nutritionists and chefs to prepare healthy and delicious meals). Other service providers are at the ready to round out the experience with fun activities from paddleboard lessons to pedicures. Customized programs are available with a minimum 7-day villa stay. Please let our villa specialists know of your interest, and upon booking, we will provide an e-introduction to Frédérique and she will follow up personally. St. Barth habitués adore Eddy’s Restaurant – an open-air tropical garden that serves up a combination of yummy French, Creole and Asian-influenced dishes. A casual atmosphere and reasonable prices attract the locals, and that makes it even more fun. They open for dinner at 7 pm, and as a change from their first-come, first-served policy, they now take reservations. Our concierge will be delighted to book you a table. Tell Eddy we sent you. The restaurant is tucked away on Rue Samuel Falhberg in Gustavia. We had a most enjoyable stay at Villa Alphane. The villa met all our expectations in terms of amenities, decoration, style, privacy, beautiful view.... Thank you again for organizing these dream holidays.